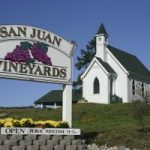 San Juan Vineyards Joins Corliss Family - Write for Wine: It's Wine O'Clock Somewhere!Write for Wine: It's Wine O'Clock Somewhere! San Juan Vineyards — a five-acre vineyard and 4,000-case winery, was founded in 1996, and has been operated by Yvonne Swanberg since 2002. 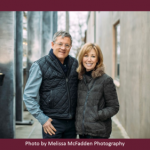 According to Great Northwest Wine, which broke the story, Mike and Lauri have been wine club members for a number of years. Madeleine Angevine and Siegerrebe are the Estate varietals of San Juan Vineyards, and have won several awards over the years. The winery also produces Cabernet Sauvignon, Cabernet Franc, Merlot, Chardonnay, Riesling and Pinot Gris. This entry was posted in Cabernet Franc, Cabernet Sauvignon, Chardonnay, Merlot, Pinot Gris, Riesling, Wine and tagged Cabernet Franc, Cabernet Sauvignon, Chardonnay, Corliss Estate, Madeleine Angevine, Merlot, Pinot Gris, Riesling, San Juan Vineyards, Secret Squirrel, Siegerrebe, Tranche, Washington wine, Washington wineries, wineries by Margot. Bookmark the permalink.